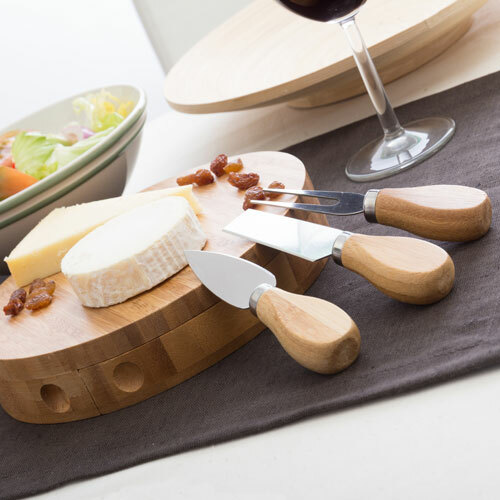 TakeTokio bamboo cheese cutting set with sliding board (4 pieces). 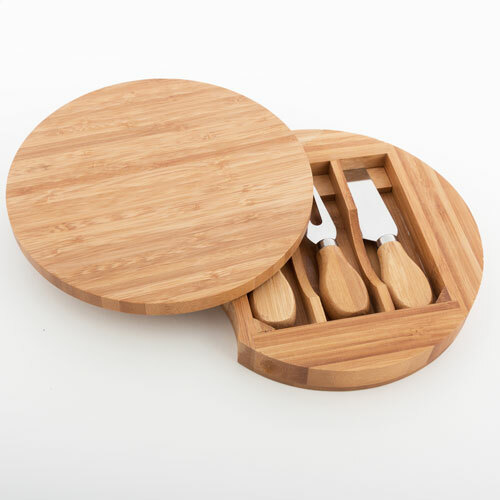 This practical set features 3 knives with bamboo handles and stainless steel blades (approx. : 2.5 x 1.5 x 13 cm, handle included). Additionally, it includes a sliding chopping board (approx. 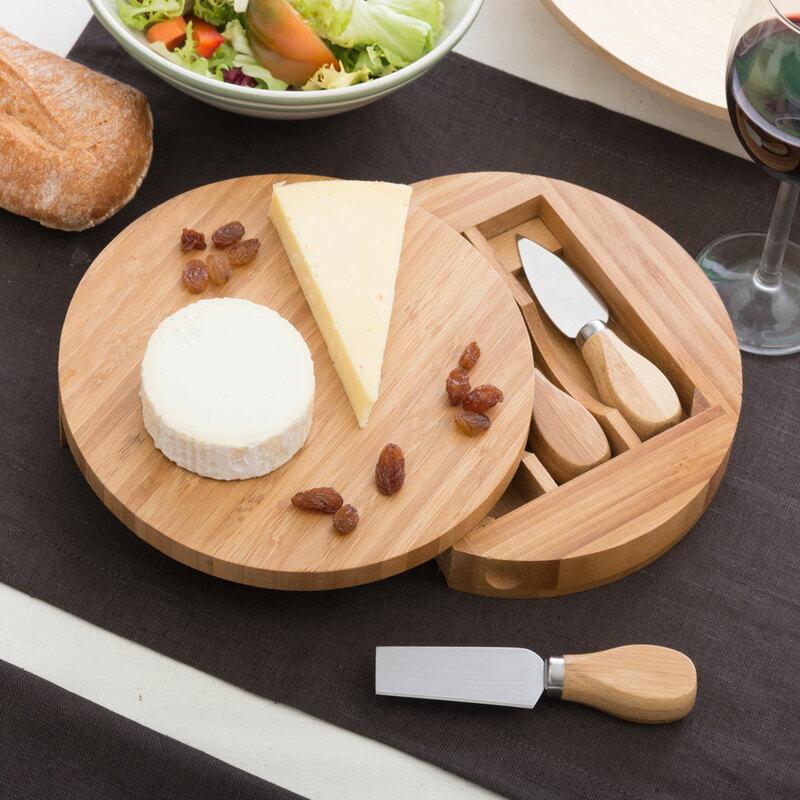 diameter: 20 cm) that hides the knives in a practical circular case.